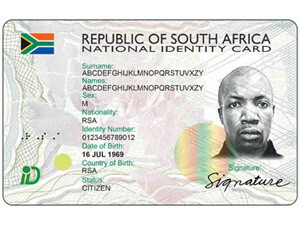 The Department of Home Affairs aims to boost the issue of smart IDs. Budget 2016: The Department of Home Affairs (DHA) will spend no less than R1 billion over the next three financial years to modernise its information systems. The department has allocated R436.9 million for the 2016/2017 financial year, R518.9 million for 2017/2018, and R549 million in 2018/2019, states National Treasury's Estimates of National Expenditure document. According to the DHA, its information systems modernisation project will provide an integrated IT platform, and automate civic and immigration business processes. "The upgraded and highly secured national identity system will provide an instant and single view of citizens and non-citizens. The system will facilitate e-government, given its capacity to integrate with other newly developed government systems. "The re-engineering and automation of business processes for passport and identity documents has been completed and rolled out as a live capture system in 140 of the department's 400 service points, as planned and budgeted for," says the DHA. The department also noted integrating all systems into the national identity system, automating the permits system and providing a full biometric border management solution are due for completion over the medium-term. Home affairs also wants to boost the issue of smart IDs, which need to get into the hands of 38 million South Africans, from 2.2 million a year in 2015/16, to five million a year by 2017/18.